Funny Signs. This pharmacy must be popular. 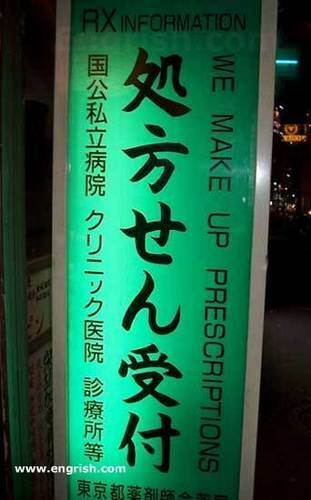 (This is a real sign from a foreign country that just had a very bad English translation). Wallpaper and background images in the Picks club tagged: engrish funny signs engrish.com bad english translations foreign signs funny. This Picks photo contains سائن ان کریں, پوسٹر, متن, چاکبورڈ, نشانی, and تختۂ چاک.